Passengers would be able to access the internet and make calls once they are 3,000 mt in air. Good news for flyers, especially frequent flyers! The Telecom Commission has approved the facility of data connectivity on air. Telecom Secretary Aruna Sundararajan said that in-flight connectivity in the Indian airspace will be available in the next three to four months. "Almost all recommendations by the Telecom Regulatory Authority of India on this have been accepted. We are expediting the process (to start) and within three months it should be ready," she told reporters after the meeting, as mentioned in agency reports. According to TRAI recommendations, passengers would be able to access the internet and make calls once they are 3,000 mt in air. 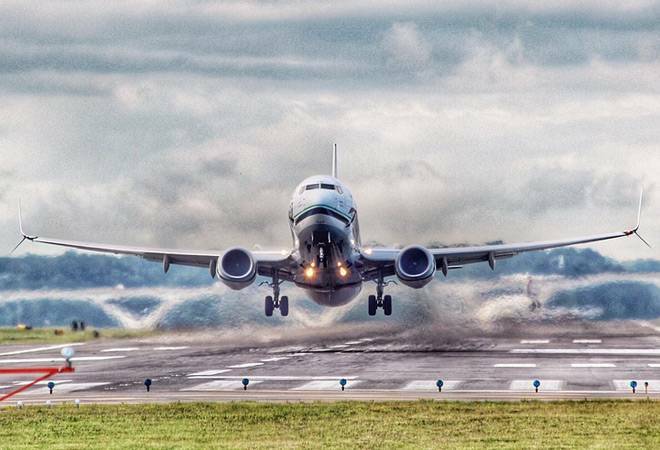 A plane usually touches 3,000 mt in four to five minutes from takeoff. The restriction of 3,000 mt has been imposed to maintain compatibility with terrestrial networks. "The DoT will now make the necessary amendments to the relevant laws to create a separate category of licences for in-flight connectivity operators, which could be telecom service providers. After making the amendments, the delay will invite applications from those interested in providing these services," a senior official said, as mentioned in The Indian Express. The official said that in order to promote the concept of in-flight connectivity service providers should be asked to pay a nominal licence fee of Re 1 per annum. As mentioned in reports, the government, however, would not intervene with the pricing mechanisms used by the operators. Not only that, the Telecom Commission also granted its approval for a telecom ombudsman to look over consumer complaints. The official said that there is a grievance redressal mechanism inside the DoT and that it receives over 10 million consumer complaints every quarter. He added that TRAI had asked for additional powers to set up an ombudsman and the Telecom Commission gave its approval to this proposal. "Now the TRAI Act will be amended to this effect and the regulator will take a call on the mechanism of how the ombudsman will function and how many such ombudsman will be needed across the country," he said.